Last month, NASA hosted the International Space Apps Challenge – a 48-hour hackathon that invited citizens from around the world to collaborate to create open-source solutions for problems NASA faces both in space and here on Earth. NASA released a list of more than 50 challenges for hackathon teams to tackle, including a wide range of topics such as solar flare, star maps, space stations and renewable energy. Teams could sign up to participate virtually from anywhere in the world. We are proud that a few teams from the Appcelerator community participated in the International Space Apps Challenge, and we are excited to showcase their work. Great job, everyone! T-10 from João Neves on Vimeo. Our goal was to set up an alert to help astronauts on the International Space Station (ISS) take images of planet Earth under their specific desired circumstances. For example, they might want a picture of London with clear skies or a picture of New York during a thunderstorm. 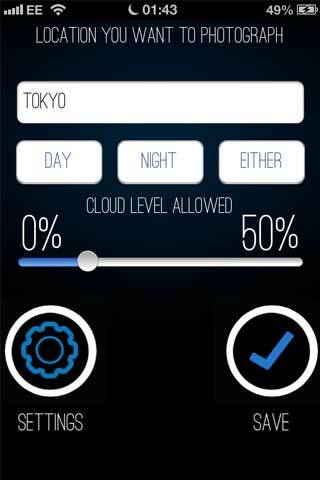 The T-10 app allows astronauts to select cities of interest, time of day and the weather condition required. This data is then sent to our server, which waits for the correct conditions and finds the next scheduled times the ISS will be over the city in question. When both city and weather conditions are met, a push notice is sent to the app and provides an alert 10 minutes before the ISS will enter visibility of that city, giving astronauts enough time to prepare to take the photo. When the T-10 countdown begins, it also sends a push alert to any ground users who have the app installed and would like to send a digital wave back to the ISS and the astronauts aboard. This two-way communication creates a social connection and sense of unity, promoting the knowledge that people on Earth and in space are waving at each other. In future updates, we hope to add the ability to add the #ISSWave hashtag to share pictures to and from the ISS and Earth. We also intend to add more complex controls to manage when and how alerts get stored and shared with others. I signed up for the International Space Apps Challenge in London, held at the Google Campus in East London. I had been invited to take part in a European space apps hack recently, but due to working commitments, I completely missed it. When I saw the announcement for the International Space Apps challenge, I signed up as quickly as I could. Being a NASA-driven event just added to the awesomeness of the hackathon. My main goal was just to participate, and I wasn’t even intending to take part seriously in the challenge aspect. I was more than happy to network and tinker with some cool ideas and people over the weekend. A very early start on Saturday morning was a challenge in itself, having been up late every night for the past two weeks working on the SCI-FI-LONDON film festival app, but I felt it was my duty to make the effort for this hackathon. To be honest, I didn’t know what kind of people would be present or if I would have the energy to stick through a whole weekend. I went in expecting to build an app using the Patino game engine for Titanium, as I’m on the private beta – perhaps a cosmic windchime or mapping related to a comet or near-Earth object. But in the midst of the opening pitches and the multitude of available broad challenges to choose from, fate and social connections led us to form our team and the app T-10. I tweeted Kate Arkless Gray (@SpaceKate) – whom I’d met through Bill Thompson (@billt), a technology journalist who works for the BBC Click Radio programme – and we connected with an idea to build an alerting app system which related to current earth weather patterns. Although my original idea was more Earth-bound, Kate had actually asked astronauts from the ISS if they would use an app that would tell them when the weather was good so they could take snaps of the planet! This was a cool plan, and we set it in motion. We had to make sure we had the right APIs on hand and a suitable user-flow. We found a table that would be our home for the next 12 hours and had an open recruitment office in the form of stickies on the edge of our table. We sat and began coding an app that would use ACS push notifications and a bunch of open-source Titanium scripts. We had so much fun building, designing and conceptualising the app and solution that we wanted to weave a few more ideas in, knowing that we could never achieve the Flickr pool upload, share integration and Earth-based “wave” functionality that would enable people on the ground to send a virtual wave to the ISS as it flew over. When our fourth team member, designer Dario Lofish (@dariolofish), logged on, our dream team was complete. We all connected online, made sure we were in tune with the concept and approach, then got back to our roles. As fate would have it, the ISS was due to fly over London at around 9:30, and Kate dragged us (plus about 10 others) so we could see it fly over. Then back to the hacking. Under normal circumstances, we would have stayed all night, but by 22:30, I bailed to the far recesses of North London, promising to return the following morning. App design during hackathons can be crazy, but we managed to have clear roles and had a simple core concept that we were all behind. 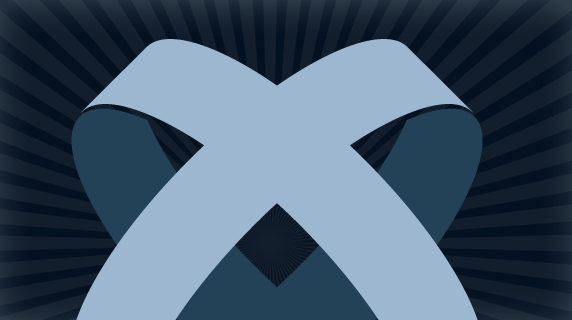 Titanium made it easy to prototype ideas and integrate design ideas on the fly quickly. Our demo at the end of the day went really well, and I demonstrated the functionality of setting and sending the event from my iPhone 4S plugged directly into the projector, with push notification responses. It was a real joy to be part of the team behind T-10, and I’m proud of the ease and speed with which our team locked into the development process and how easy we made all of our jobs seem. I was pleased to see a lot of mobile solutions come out of the weekend, many of them trying to take complex space data and put them into the hands of ordinary people in a way that makes sense. There were some superb, inspiring solutions that bridged the gap between software and hardware. It was also incredible to see the cooperation and coordination of people, some in the same room, some located all over the world. Since I was 10, I have had this odd dream to become a developer – back then it was just a desire to be a computer programmer. Mobile development has suddenly become a huge business and one that has moved in from the fringe of society into an evolving and ever-shifting set of features and parameters. With every year, new concepts, gestures and devices evolve and play a role in how our societies interact with the world around us. It is very cool and exciting to be part of that change. At the end of the hackathon, we were so excited when they announced that we had been chosen by the judges as one of the two winning London Challenge teams! We are hoping that we will do well in the global round coming up and that our app will be featured in the Victoria and Albert Museum as part of the Digital Futures: Urban Open Space event. We are now in the People’s Choice voting phase, so you can vote for T-10 via Twitter. Wish us luck!